A stunning and unusual ring. 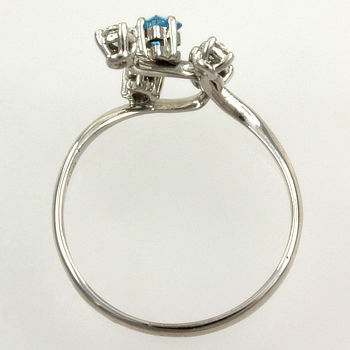 Crafted in 18ct white gold and set with blue topaz and diamonds. 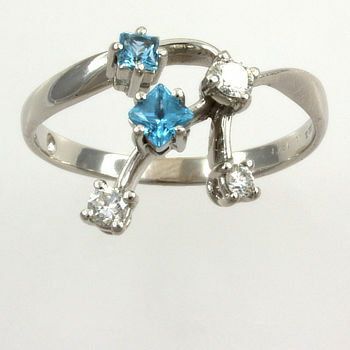 The delicate spray design makes this a lovely ring for any occasion. Please not there is a small stone missing from inside the shank.